What OH! Open House has been trying to achieve, since its founding in 2009, is to challenge and elevate how art is experienced in the everyday. 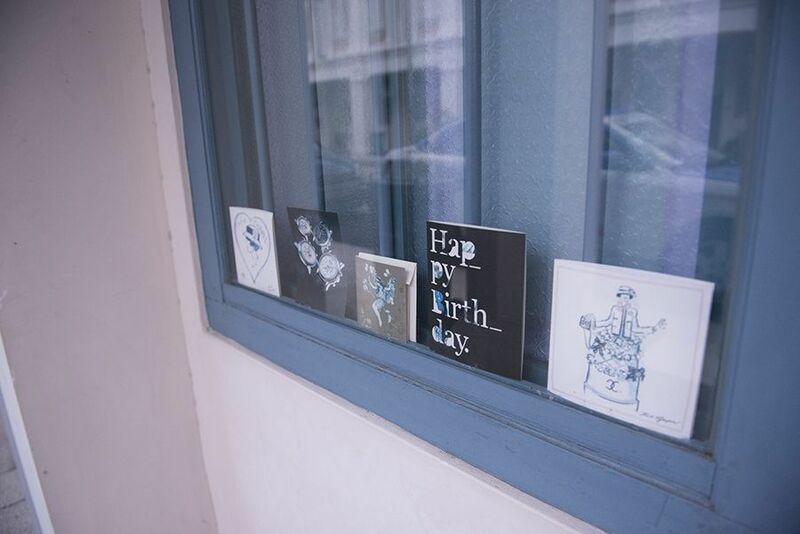 From the art deco neighbourhoods of Tiong Bahru to the absurdist side of Marina Bay, Singapore's first art walkabout is designed to reveal the quirks, whims, nuances, and secret lives of this island-state, through art installations in various residential spaces. 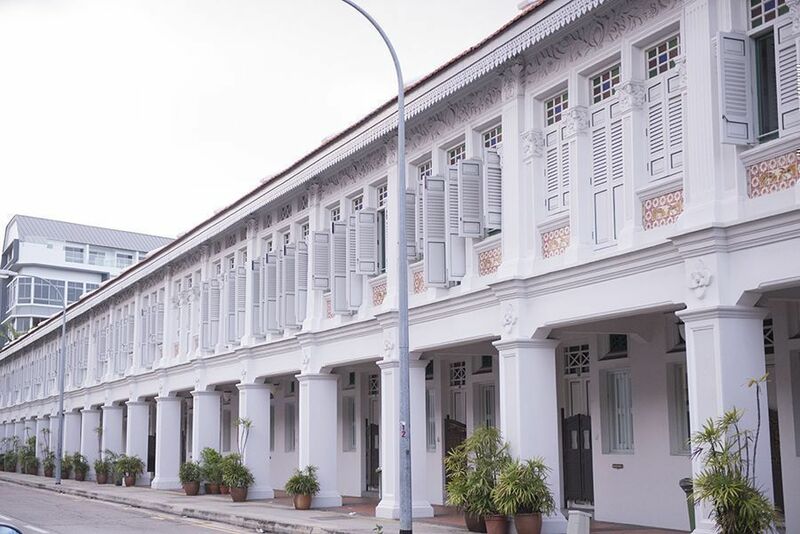 This year's open house took us to the sometimes-mocked and oft-talked-about Joo Chiat. 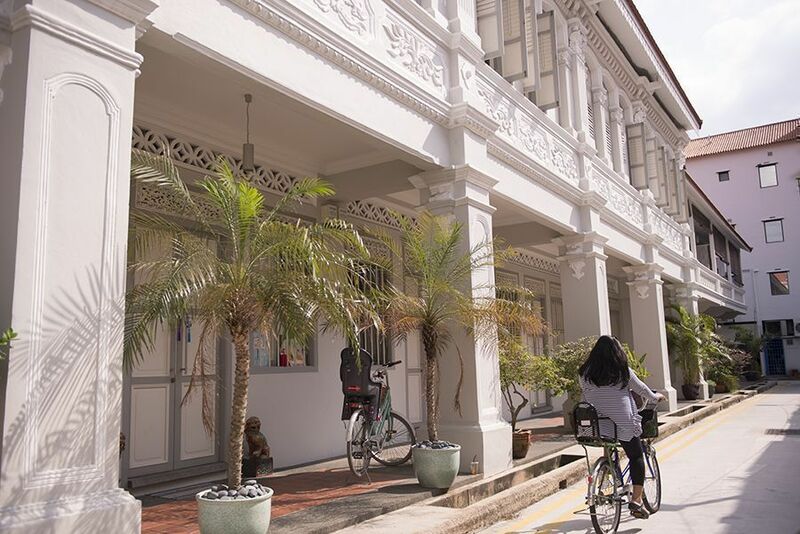 The tour, which ran on all weekends of March, was meant to dismiss the definitions attached to Singapore' first heritage town. Is it, as people have claimed, hinged on sleaziness? Do residents themselves feel disconcerted by bars masquerading as kitschy shophouses? 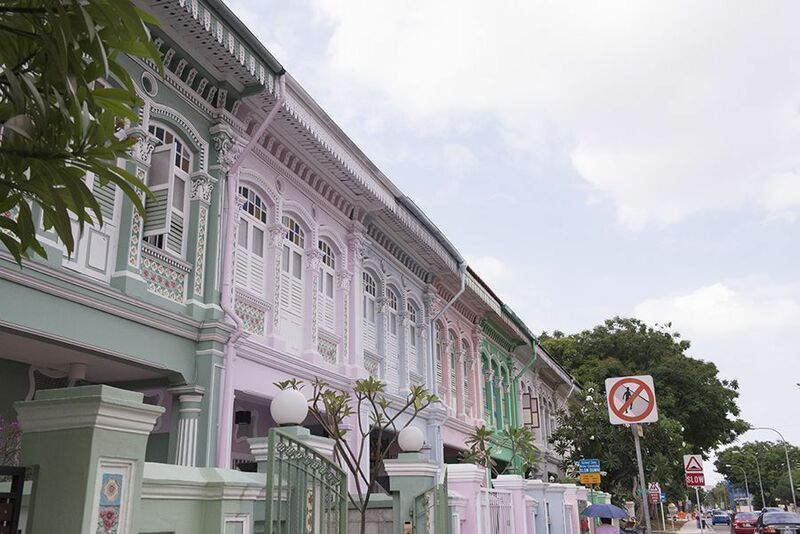 "Joo Chiat has always defied you. Its people, its history, even its name resists the black and white story. 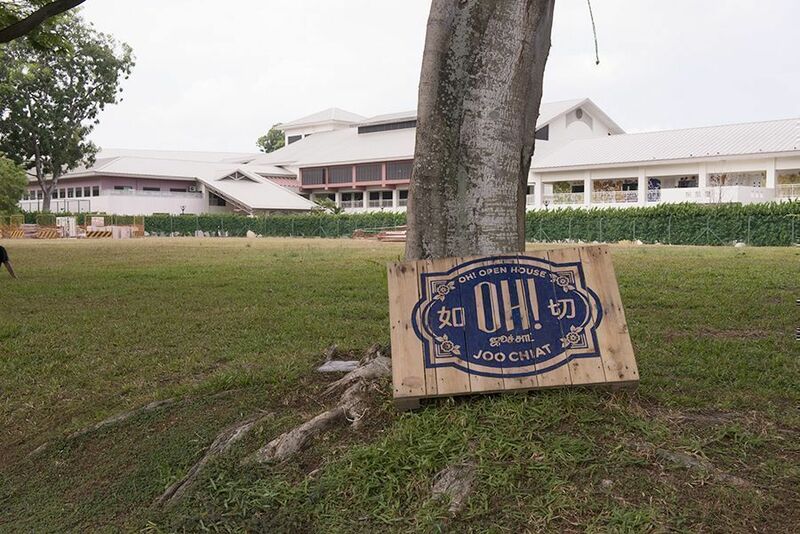 [But] who has the right to define and lay claim to Joo Chiat?" asks tour curator and artistic director Alan Oei. Twelve artists showed us the genuine un-sleazy soul of this place through artworks installed in shophouses, back alleys, and secret gardens. 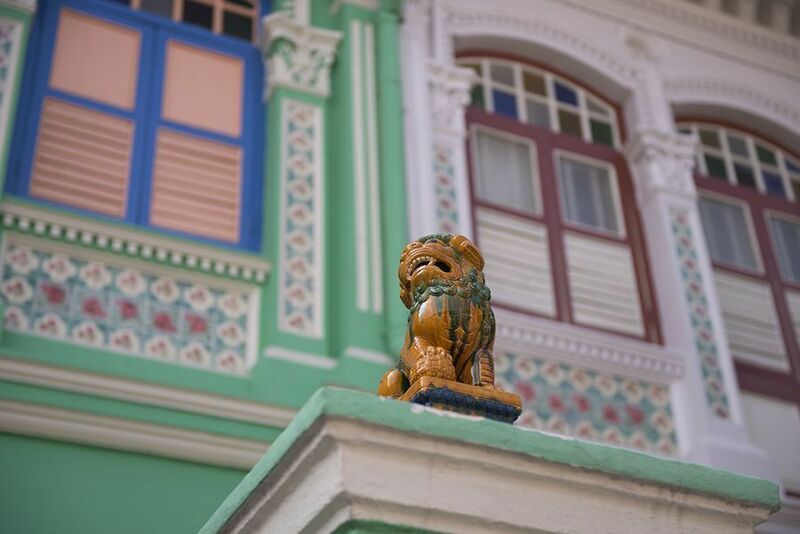 A golden statue along Joo Chiat Place and a boathouse in Tembeling Road left us in awe and wanting to see more. 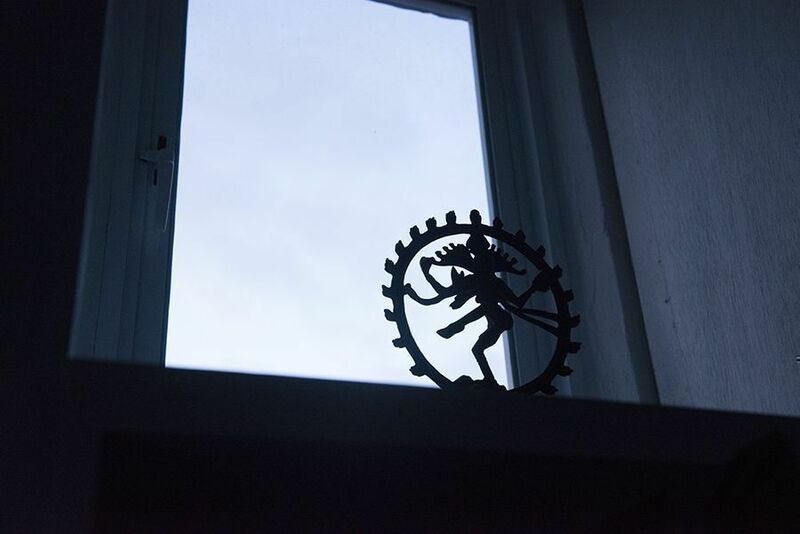 Residents opened their doors and welcomed us into their stylised spaces. What caught our eye? What stirred our soul? 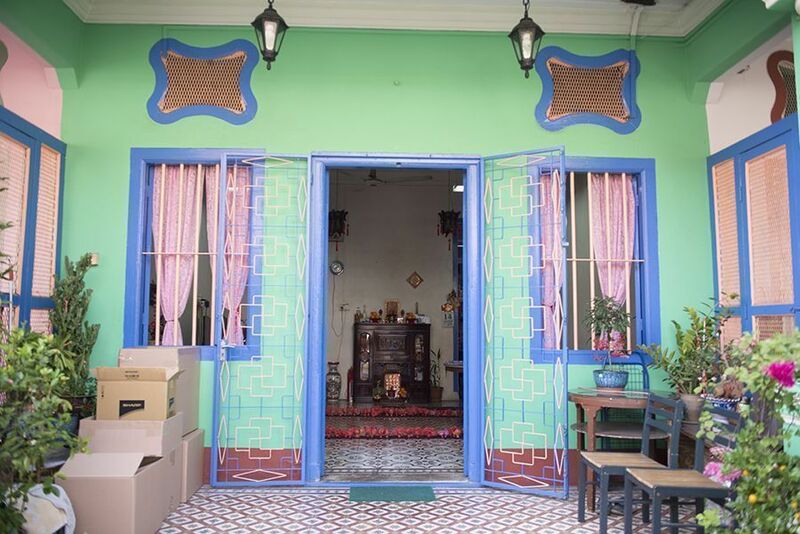 Along Koon Seng Road is Mr. and Mrs. Tan's house, already 80 to 100 years old, a testament to Joo Chiat's glorious Peranakan lineage. It is populated by things that harken back to simpler days: a Singer sewing machine, an old ship's clock, retro Peranakan tiles. 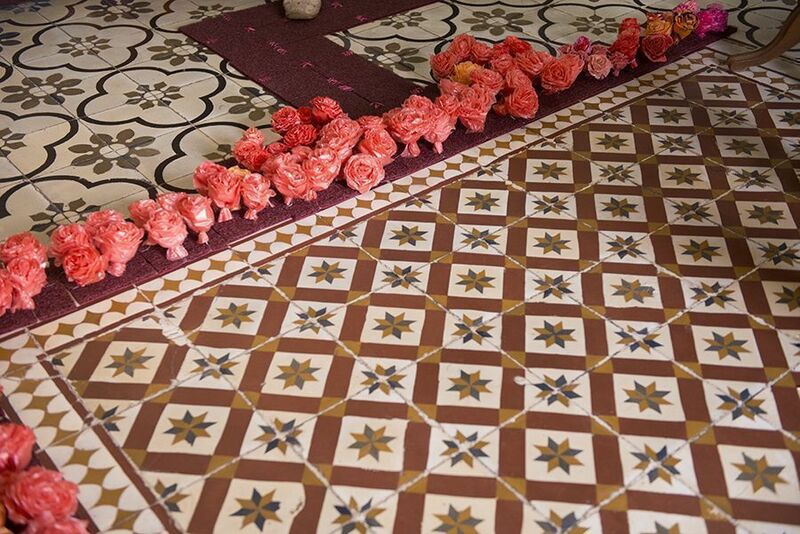 Guo Yixiu's installation—flowers and knick knacks made out of plastic bags—echoes "not only the architecture and Peranakan mosaic tiles but also the private and sentimental lives of the Tan family." 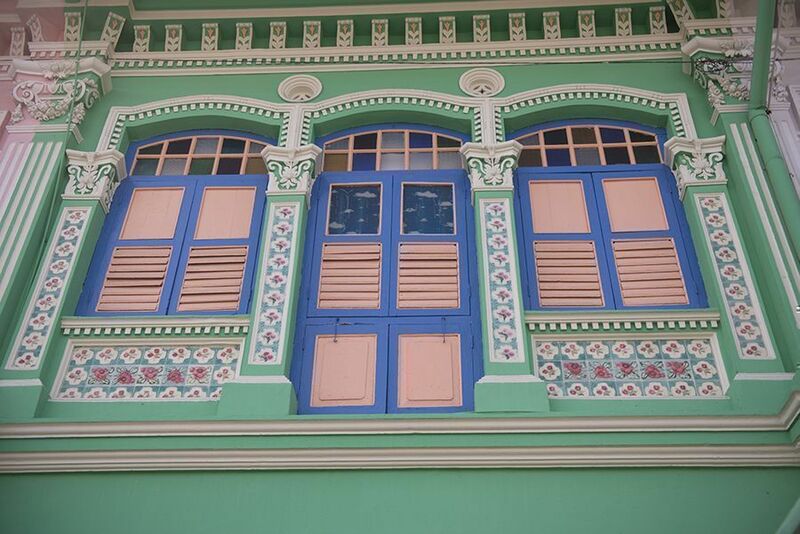 Distinctly Peranakan—the pastel colours of the facade make this one of the most photographed houses in the area. Mr. and Mrs. Tan honour the memories spun out of their Koon Seng neighbourhood and pine for old and quieter days. 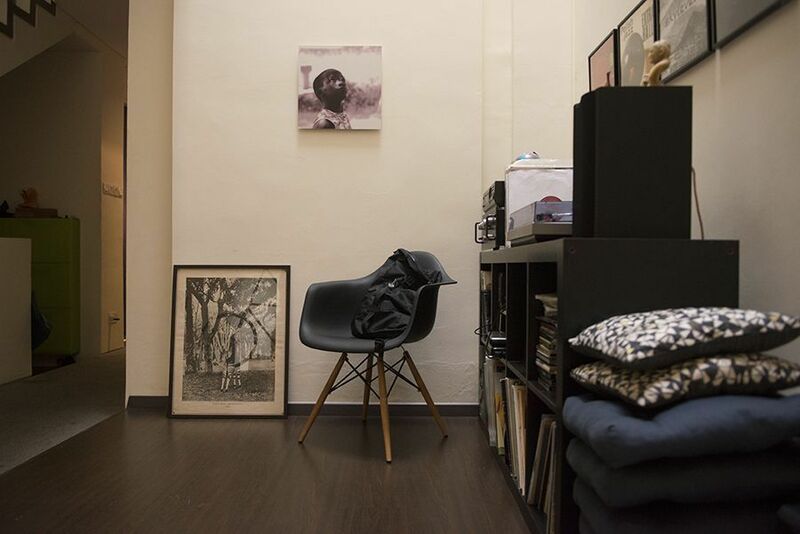 "Up to the 90s, you used to be able to rent an entire shophouse for $50 to $100. Nobody would ever move out. Today, everyone is gone." 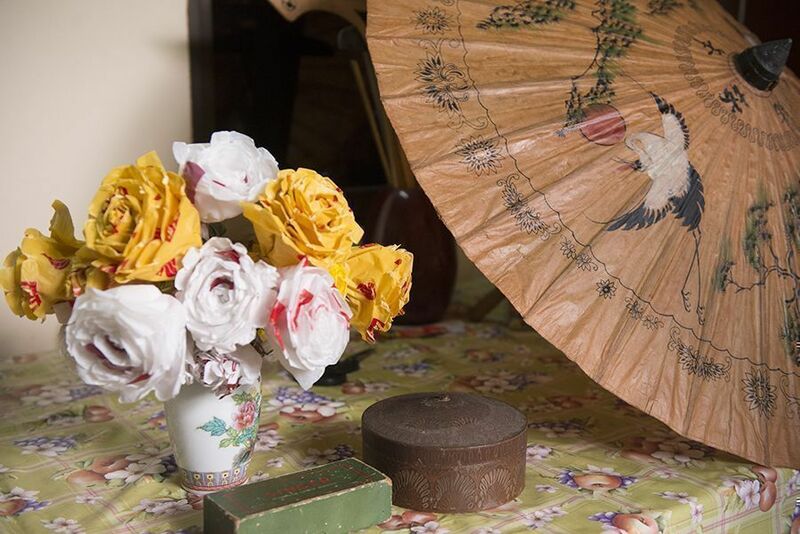 Floral on floral: Guo Yixiu's flowers were displayed all over Mr. and Mrs. Tan's house. 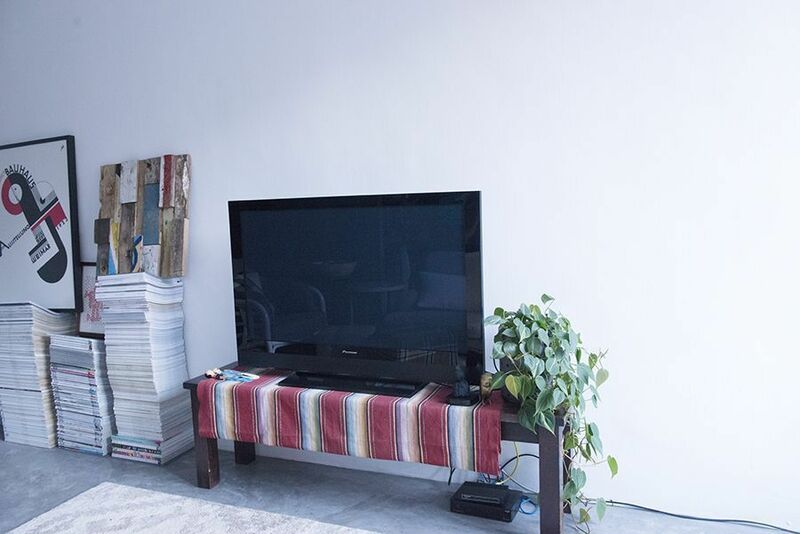 The rustic appeal of the furnishings matches the austerity of Guo Yixiu's artworks. 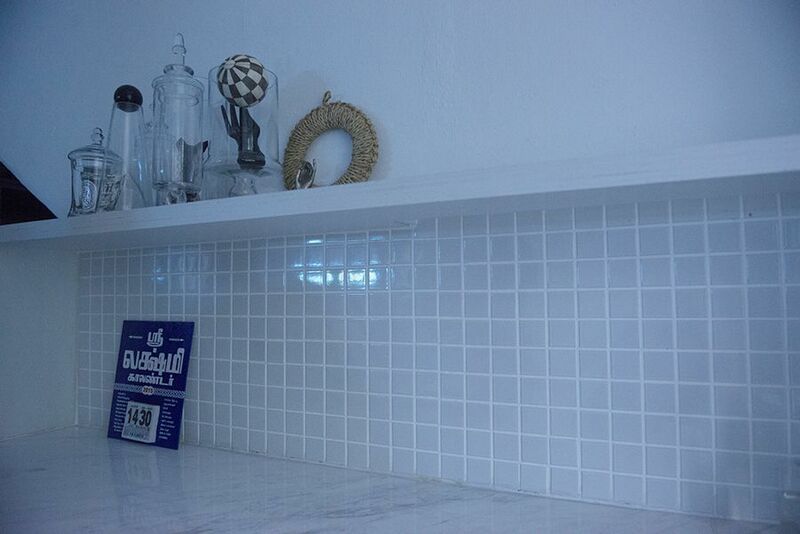 One unit in Sandalwood Condominium is owned by Andrzej and Evie, a Belgian couple and OH! Open House volunteers. 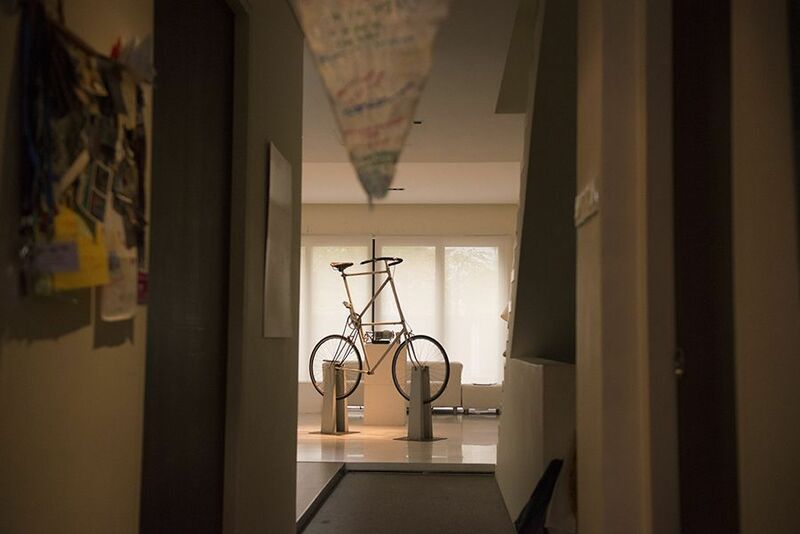 Their apartment, which has strong Scandinavian influences, gets a major artistic boost via the bike installation by artist Hafiz Osman. Called the Penghulu, this giant double-framed bicycle represents "traversing across Joo Chiat's complicated and uncertain geography." Sunlight lands generously on Sandalwood Condominium, a block of terrace houses with conserved facades in Joo Chiat. A glimpse of the installed bike from the apartment hallway. This bicycle is a collaboration between Hafiz Osman and Andrzej, who is a bike enthusiast. The fusion of white furniture pieces and wooden furnishings like the geometric wall shelf creates a warm and cosy atmosphere. Art director Wei Chun will never forget the time a woman crashed into his courtyard—she was a working girl escaping from a raid and accidentally running across his glass awning. Despite this high-tension drama, Wei Chun could never be more enamoured by this place. 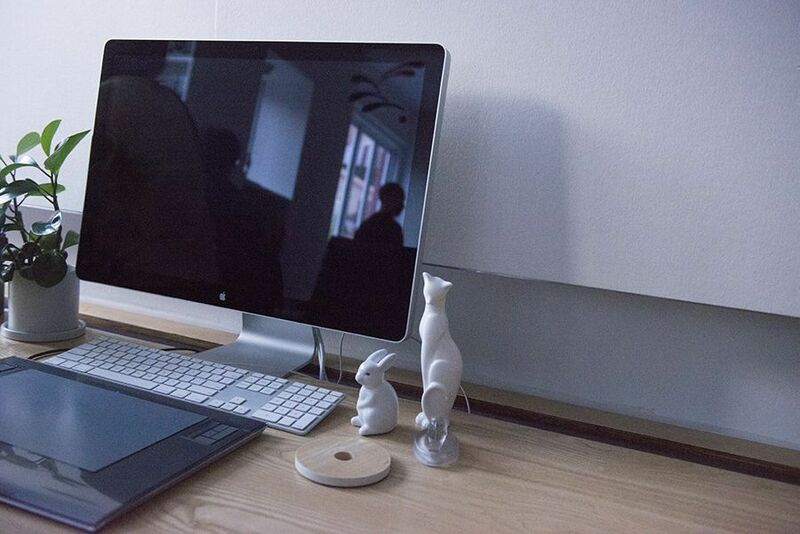 His apartment, bathed in white and done up in minimalist style, doubles as his workspace. Here, he displays photos of his hometown Penang, his massive magazine collection, and photos of his fashion editorials including one which features 15-year-old Russian girls. 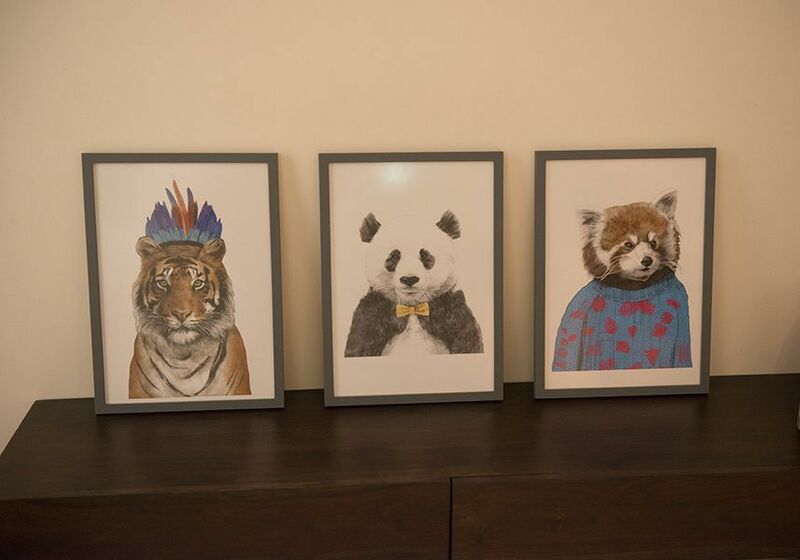 Sean Lee was the designated artist of this apartment. 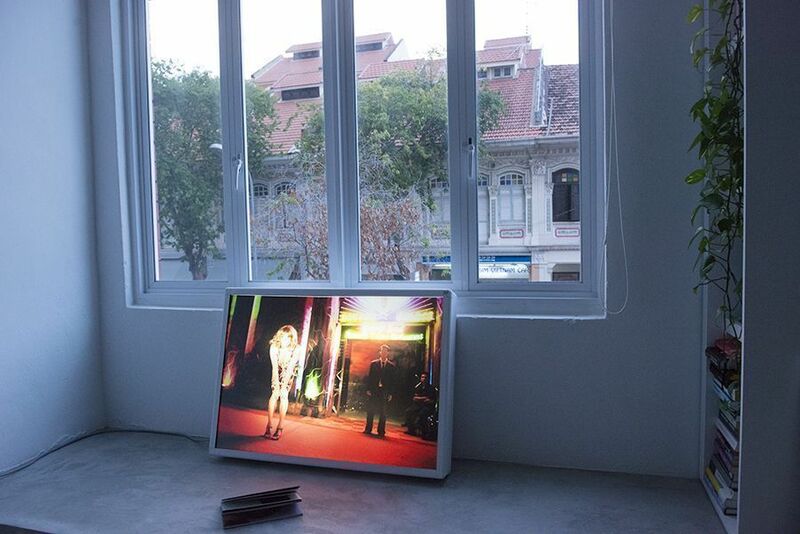 He had displayed photos of his ladyboy persona, Shauna, to remind himself of a shadowy yet intriguing past. 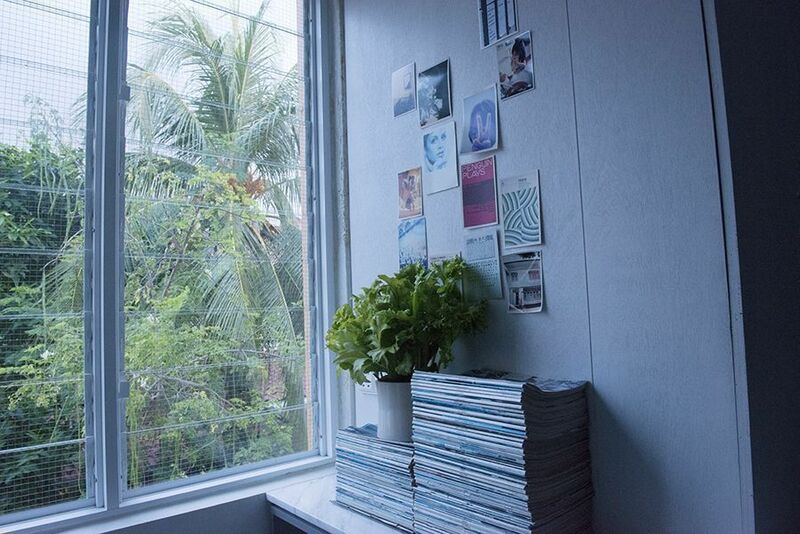 Scores of magazines and postcards on the wall enliven this otherwise awkward corner. 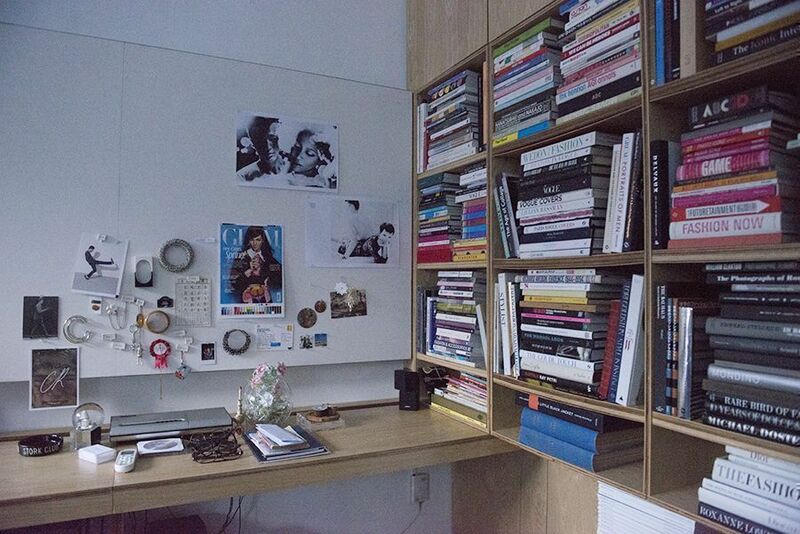 Wei Chun's fashionable working corner consists of a customised wall shelf, travel curios, and magazine cutouts. 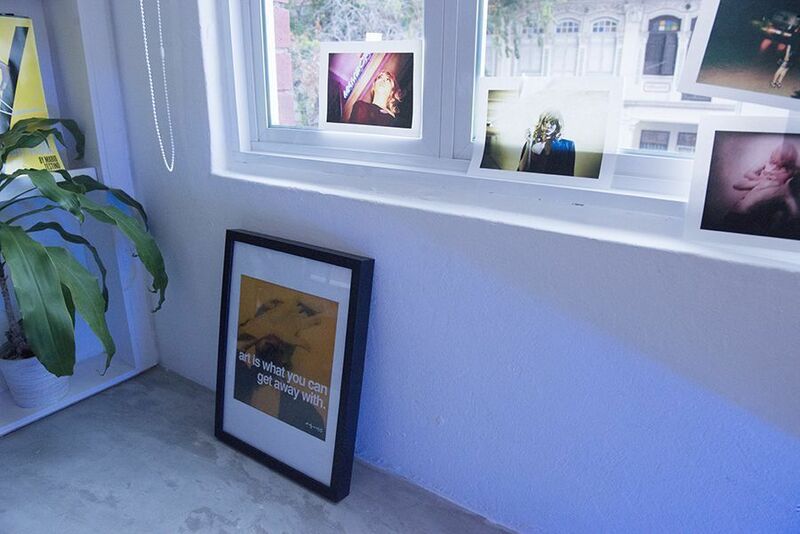 Sean Lee's photos of his former persona, Shauna, were plastered all over the windows, adding a touch of grit to Wei Chun's immaculate space. 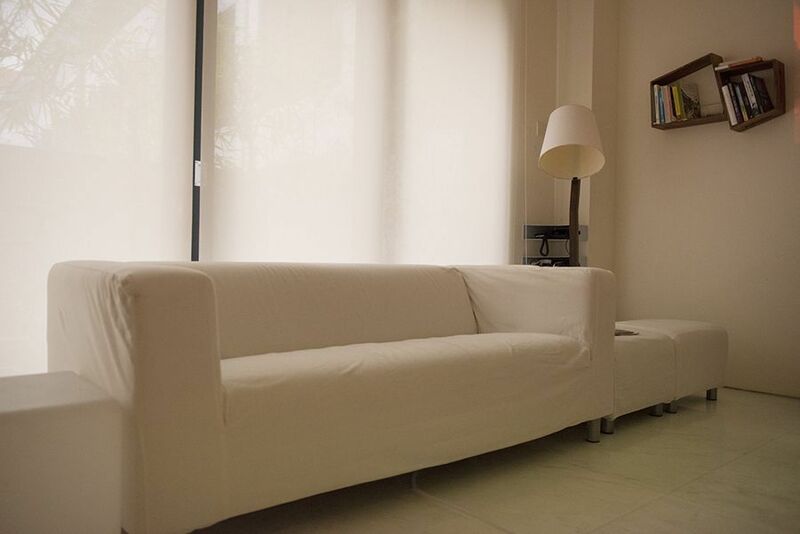 Wei Chun's cosy bay window gives us a peek of Joo Chiat Road, alive and vibrant 24/7. To learn more about the next OH! Open House walking tour, visit their website. 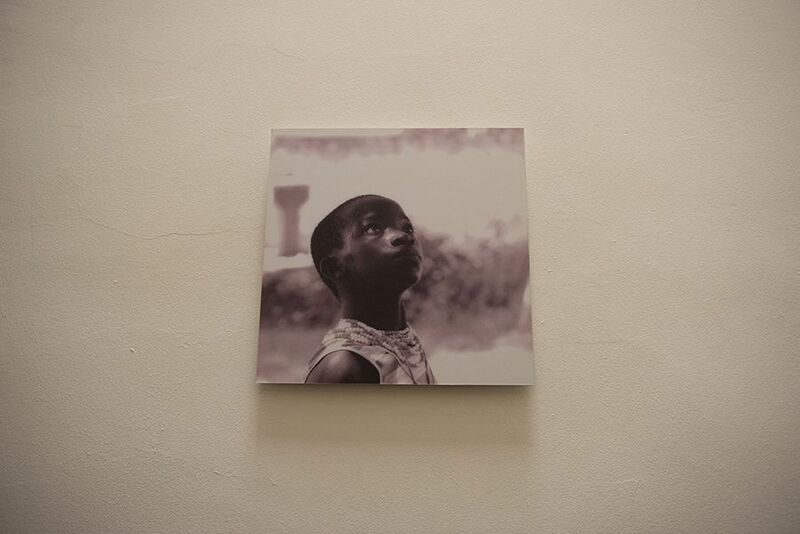 And if you would love us to visit and feature your home, please do let us know at hello@cromly.com.